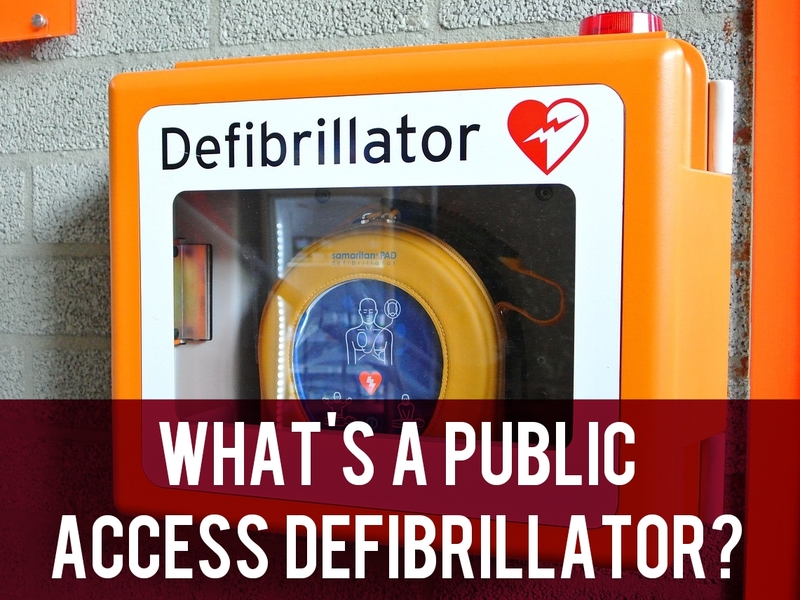 What’s a Public Access Defibrillator? What’s a defibrillator and why do communities have them installed? A defibrillator is a device that gives a high energy electric shock to the heart through the chest wall to someone who is in cardiac arrest. This high energy shock is called defibrillation, and it’s an essential life saving step in the chain of survival. 12 apparently fit young people die every week in the UK from an undiagnosed heart condition. It’s essential that defibrillators are accessible and that CPR and defibrillator training is widely taught so more lives can be saved. There are four stages in improving survival from cardiac arrest. The first is recognising it and getting help, this is probably the easiest. The second is early cardiopulmonary resuscitation (CPR), however 6 out of 10 people would not know what to do. Thirdly access to defibrillator, and finally access to advanced life saving skills in the form of drugs and interventions that only paramedics or hospitals can provide. Would you know what to do if a neighbour or relative suffered a cardiac arrest? Anyone phoning 999 and reporting a cardiac arrest will be directed to send someone to fetch the defibrillator using a code to open the cupboard. This will be done while others do cardiac massage while awaiting arrival of the defibrillator. The defibrillator is easy to use and hopefully will make a difference in the survival of the individual. Would you know what to do if a neighbour or relative suffered a cardiac arrest? If not would you be comfortable standing there doing nothing while waiting for an ambulance or would you like to know what to do? For more information visit Welsh Hearts and the British Heart Foundation. Tomorrow we’ll hear from guest blogger, Chris Williams, who has launched a project to get a defibrillator installed in Tongwynlais.